Take an additional $3,150 off this last 2018 GMC Yukon XL! What an incredible deal on a brand new FULL SIZE PEOPLE HAULER! 1Not available with special finance or lease offers. See dealer for details. 2MUST USE HARDIN BUICK GMC'S FINANCE INSTITUTIONS 3Not available with special finance or lease offers. See dealer for details. 4Must finance through GM Financial. Some customers may not qualify. Not available with some other offers. See dealer for details. 5Monthly payment is $13.89 for every $1,000 you finance. Average example down payment is 4.5%. Some customers may not qualify. Not available with leases and some other offers. Take retail delivery by 4/30/19. See dealer for details. Take an additional $2,211 off this last 2018 GMC Yukon XL! What an incredible deal on a brand new DENALI!! 1Not available with special finance or lease offers. See dealer for details. 2MUST USE HARDIN BUICK GMC'S FINANCE INSTITUTIONS 3GENERAL MOTORS IS ANNOUNCING A CONQUEST INCENTIVE FOR CURRENT OWNERS/LESSEES OF A 2005 OR NEWER NON GM (I.E., NON-BUICK, CADILLAC, CHEVROLET, GMC, HUMMER, OLDSMOBILE, PONTIAC OR SATURN) PASSENGER CAR OR TRUCK. 4Not available with special finance or lease offers. See dealer for details. 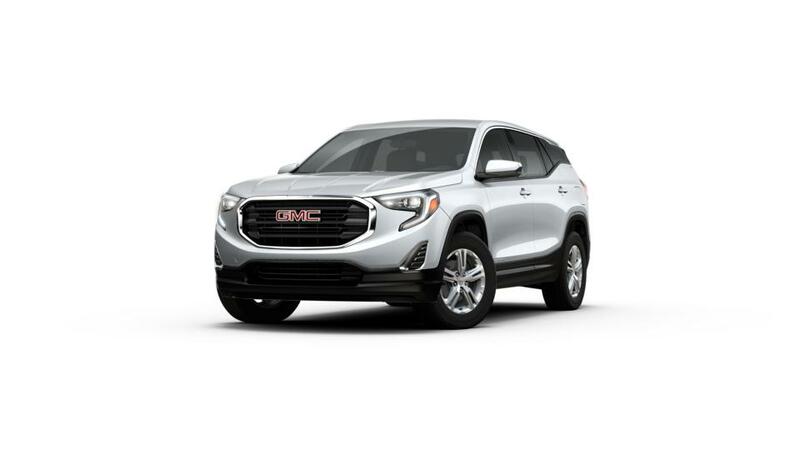 5LEASE SPECIAL IS FOR A CLOSED END LEASE OF THE 2019 GMC ACADIA SLE FOR $289 PER MONTH PLUS TAX, FOR 36 MONTHS ON APPROVED TIER ONE CREDIT THROUGH GM FINANCIAL. $0 SECURITY DEPOSIT, $0 DOWN (INCLUDES 1ST PAYMENT, TAX, LICENSE FEES) AFTER APPLICATION OF $3,500 SELECT MARKET INCREMENTAL CCR PROGRAM AND CURRENT NON-GM LESSEE REBATE OF $2,000 (MUST HAVE A NON-GM LEASE IN HOUSEHOLD) FOR A TOTAL OF $5,500 IN CASH REBATES. 10K MILES PER YEAR AND $.25/MILE THEREAFTER. SEE DEALER FOR DETAILS. 2 AT THESE SPECIALS, STK#: 19T20602, 19T41412. PHOTO FOR ILLUSTRATION PURPOSES ONLY. MUST TAKE DELIVERY BY 4-30-2019. 6Monthly payment is $13.89 for every $1,000 you finance. Average example down payment is 4.5%. Some customers may not qualify. Not available with leases and some other offers. Take retail delivery by 4/30/19. See dealer for details. Take an additional $820 off this 2019 Acadia Denali! What an incredible deal on a brand new DENALI ACADIA!! 1Not available with special finance or lease offers. See dealer for details. 2MUST USE HARDIN BUICK GMC'S FINANCE INSTITUTIONS 3GENERAL MOTORS IS ANNOUNCING A CONQUEST INCENTIVE FOR CURRENT OWNERS/LESSEES OF A 2005 OR NEWER NON GM (I.E., NON-BUICK, CADILLAC, CHEVROLET, GMC, HUMMER, OLDSMOBILE, PONTIAC OR SATURN) PASSENGER CAR OR TRUCK. 4Not available with special finance or lease offers. See dealer for details. 5Monthly payment is $13.89 for every $1,000 you finance. Average example down payment is 4.5%. Some customers may not qualify. Not available with leases and some other offers. Take retail delivery by 4/30/19. See dealer for details.